This hands-off, incredibly easy to make creamy vegan cashew cream is a great dairy-free alternative to cream or sour cream in savory recipes. So, what is cashew cream? 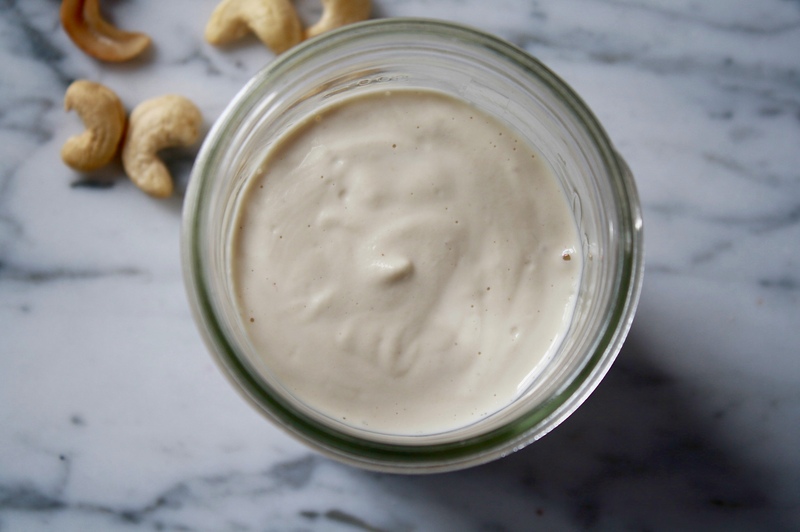 Simply put, cashew cream is soaked raw cashews blended up into a silky-smooth sauce or cream. To make this vegan sauce, all that’s required are raw cashew and water. Although, you can make it savory or sweet by adding of your choice of flavorings. It’s very easy to make cashew cream. Nearly the whole process is hands-off. 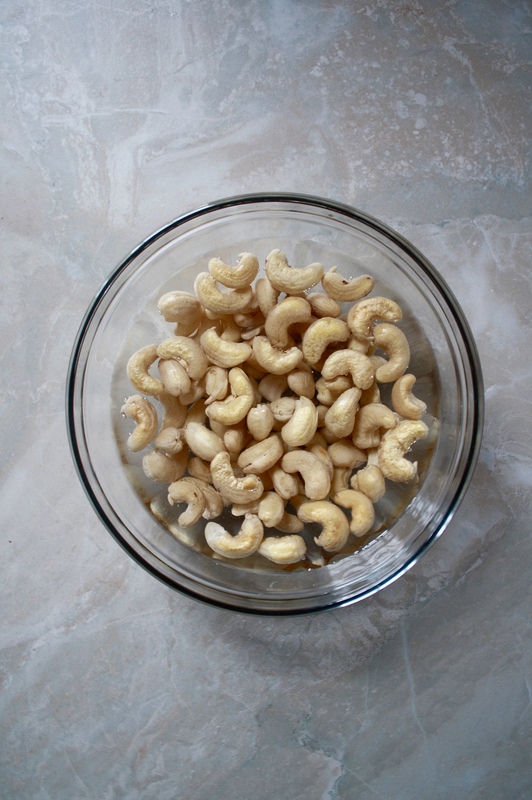 Here’s the basic process: soak raw cashews in water for a few hours. Drain and rinse cashews then transfer to a blender with water and purée. Season with salt and garlic for a savory cream or sauce, or add some sweetened, like honey or pitted dates, for a sweet sauce or cream. How long does cashew cream last in the refrigerator? Homemade cashew cream is good for 1 week stored in and airtight container in the refrigerator. How do you ensure a creamy cashew cream? So, how do you use cashew cream? Check out this post for 8 Ways to Use Cashew Cream! Make your cashew cream thicker or thinner by checking out this nut-to-liquid ratio over on Oh, Lady Cakes. 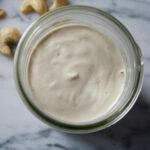 Creamy, silky smooth, this vegan homemade cashew cream is the perfect alternative to cream or sour cream in most savory recipes! Add a touch of sweetness for a great addition to waffles, pancakes, and muffins. Place cashews in a bowl and cover with water. Set aside, at room temperature, and let soak for 2 hours. Rinse and drain, then transfer to a high powered blender or food processor with 10 tablespoons water, garlic or dates, and salt; purée until smooth. Store refrigerated, in an airtight container, for up to a week or freeze for up to 6 months. Total time is listed as 2 hours and 5 minutes, but this is mostly hands-off time (2 hours of soaking). Don’t let the time steer you away, this cream comes together quickly after soaking. This post contains affiliate links, the commission is paid by the retailers, at no cost to you. Thank you for supporting all things ZK!